In a speech signal, we often have non-stationary statistics, and in an echo path, we often have transients. To ensure we capture all of this dynamic behavior for an echo cancellation implementation, we need to sample with infinite precision. Since this is impossible, the next best thing we can do is sample at an incredibly high rate. From a practical standpoint, this is undesirable because it will lead to incredibly long FIR filters. What we need is a way to keep our FIR filters short, while keeping our frequency resolution high. For acoustic echo cancellation (AEC), multi-resolution analysis can do just that. 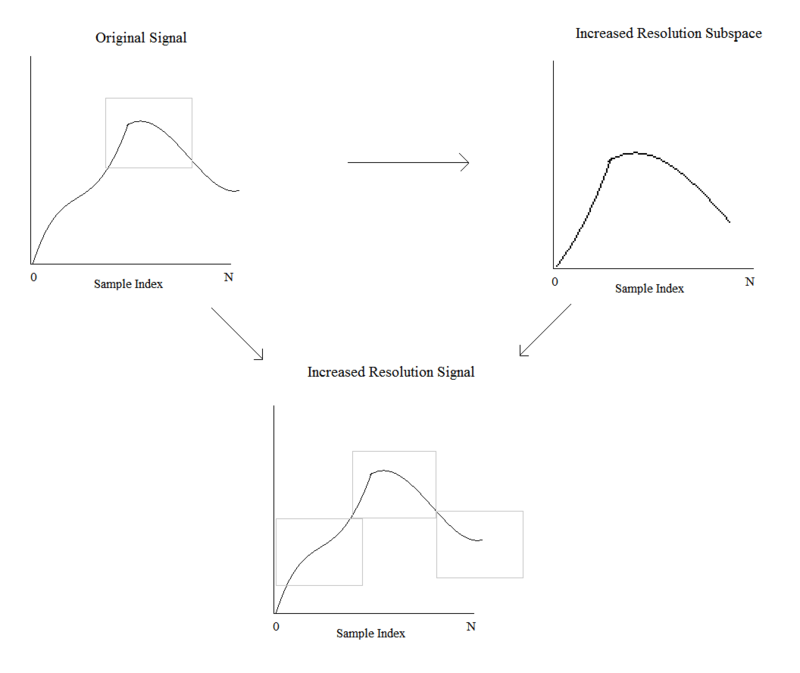 As Figure 1 shows, multi-resolution analysis recreates the original signal using sub-signals with increased resolution. To arrive at such a reconstruction , we first consider the continuous time speech signal . We first sample it at a rate αj forming the approximate signal where . This sampling operation can be viewed as the projection . Similarly, at a rate α j +1 > αj, we have due to the increase in resolution. Where cj and dj are respectively the scaling and detail coefficients. 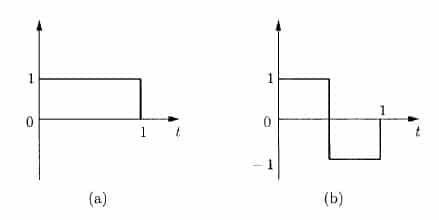 The heirarchical structure of the wavelet decomposition can be used to simplfy the implementation of such an algorithm . Recalling that , we can select one subspace whose coefficients we will update and update the rest vicariously through their relations with the chosen space. Denoting this space as the control space are called ‘parent’ spaces while are called ‘child’ spaces. Thus a real-time implementation of the Haar wavelet decomposition has been realized. For echo cancellation, the ability to simultaneously have good frequency and time resolution is paramount. Using the above method, acoustic echo cancellation can be greatly improved. S. Mallat, “Multiresolution approximation and wavelet orthonormal bases of L2,” Transactions of the American Mathematical Society, June 1989. P. Kechichian, On the Partial Haar Dual Adaptive Filter for Sparse Echo Cancellation. M.E. thesis, McGill University, Canada, 2006.